ST. GEORGE — A Utah Highway Patrol trooper who was listed in extremely critical condition Friday after being struck by a car died from his injuries Tuesday night. Trooper Ellsworth, a seven-year UHP veteran, responded to a report of a low-hanging power line near 13600 North and state Route 13 in Box Elder County at approximately 9:45 p.m. Friday. Ellsworth, 32, of Brigham City, was waiting for a power company crew when he stepped out of his patrol car to alert the driver of an approaching semi of the sagging power line. While doing so, the trooper was struck by a 16-year-old girl driving a 2006 Chevy sedan, according to the Box Elder County Sheriff’s Office. Ellsworth was transported to a hospital in Bear River with life-threatening injuries before being flown to Intermountain Medical Center in Murray. Five days later, the trooper’s injuries proved fatal as Ellsworth died early Wednesday morning. In a prepared statement, Tuesday, Ellsworth’s family thanked the community for the love and support shown to their family while offering forgiveness to the 16-year-old girl who hit Ellsworth. 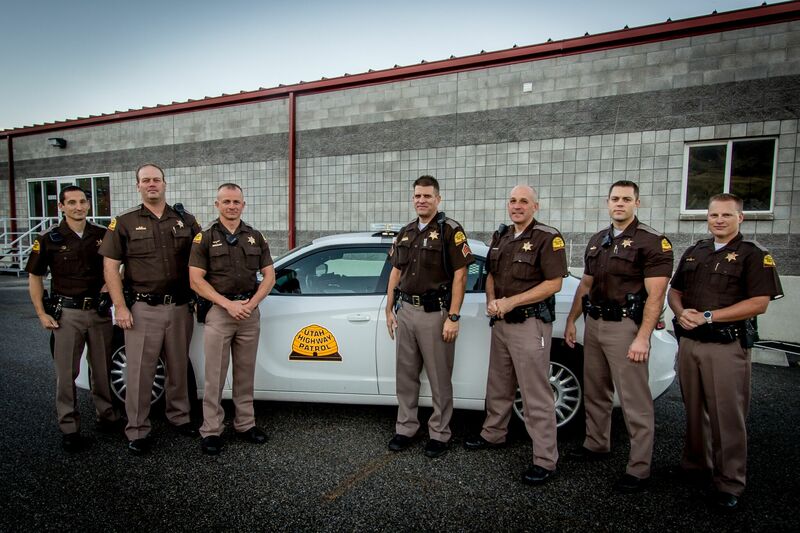 Trooper Ellsworth’s first two years with the Utah Highway Patrol were spent in Green River. He spent his final five years in Section 1 serving the people of Box Elder County and Northern Utah. The service provided by state troopers is critical to the safety and quality of life enjoyed throughout Utah, Utah Department of Public Safety Commissioner Keith D. Squires said in a statement Wednesday. Squires also offered support to the teenage girl involved in the fatal accident. Gov. Gary R. Herbert said Wednesday he was heartbroken by the news of Trooper Ellsworth’s passing. 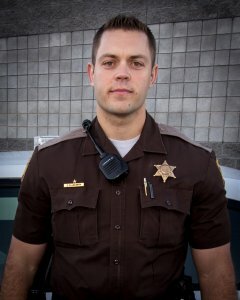 Ellsworth is the second Utah law enforcement officer to be struck and killed by a vehicle while responding to a call this month. On Nov. 6, West Valley Police Officer Cody Brotherson was struck and killed by a vehicle whose driver was fleeing from law enforcement during a pursuit. Ed. note: Utah DPS Director of Public Relations Marissa Villasenor confirmed Ellsworth died from his injuries Nov. 22. God Bless the family, friends, and our police!